Swimming Classes In Abu Dhabi – How Do They Help With Senior Fitness? For seniors and the elderly in the UAE staying fit and healthy is just as important for younger adults. In Abu Dhabi there are many exercise classes available for seniors to help with stating fit in general and mobility. Another aspect of senior fitness classes is the social element they often provide. 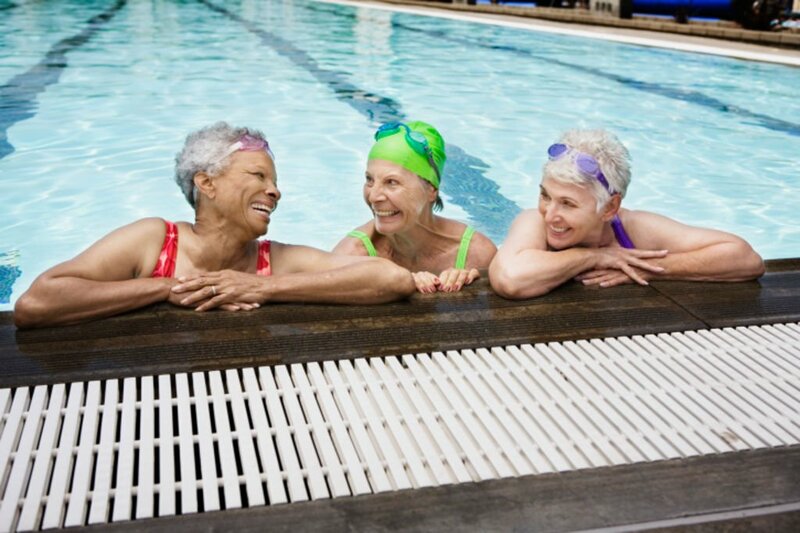 Swimming for fitness for seniors is great because it is considered a low impact exercise method. As a professional swimming coach and group swimming class instructor how do you think swimming classes can help with senior fitness and what benefits does swimming provide? Being a swimming teacher in Abu Dhabi with over 17 years experience I have taught a wide range of Senior Citizens who all have different ailments and experience in water and who swim for various reasons. Some enjoy the challenge of learning for the first time as a ‘lifelong goal’, others have had a bad experience and want to overcome the fear for recreational reasons, so they can spend time with their children and grandchildren in water and enjoy holidays and weekends with them in the water. Many, however have pre-dispositioned injury’s and mobility issues and have been advised to go swimming in Abu Dhabi for health reasons whereas, a small percentage use swimming to train and compete in Masters swimming competitions. Whatever the reasons that individuals have, the benefits remain the same and there are no real negatives when choosing to swim in a lifeguarded pool, compared to other sports or activities. As age naturally weakens the human body, swimming or water aerobics can be a much better way to exercise the muscles and staying fit and healthy. Sports like running or cycling involve minimal upper body strength and can be quite aggressive on the joints and knees. With swimming being a low impact form of exercise, there is minimal forces on the joints as the water supports you when you are in it. The stronger your muscles are, the more they can support your skeletal structure and can help to reduce chronic pain, common with ageing. As you age, you become less mobile and agile, however due to using many different body parts and muscles when you are swimming (along with the buoyancy of the water), it allows for a better range of motion at the joints and the muscle fibres become more elongated, releasing stress and tension and giving you more flexible joints with a higher range of movement improving your neck, shoulders, arms, hips and legs. Swimming and swimming lessons in Abu Dhabi are also a fantastic tool in the fight against Heart Disease. It boosts circulation and lowers blood pressure which are essential ingredients to a healthy heart. It can also help with Arthritis and Osteoporosis by improving mineral and bone density, and therefore making the bones stronger, it can make fractures less common also. Using swimming for the social aspects is also a key ingredient and motivational factor for many senior citizens who reside in the UAE. People are generally happy in water and it doesn’t take a neuroscientist to understand the benefits of being happy on your quality of life. Having more to look forward to makes every day more interesting, and having something you truly enjoy doing in your life (will constantly elevate your spirits. If you take up swimming you are going to be meeting people and studies prove that’s invaluable to your health. Seniors who are social suffer with less chronic pain, fewer disease-related complications and they man actually live longer with a higher quality of life. 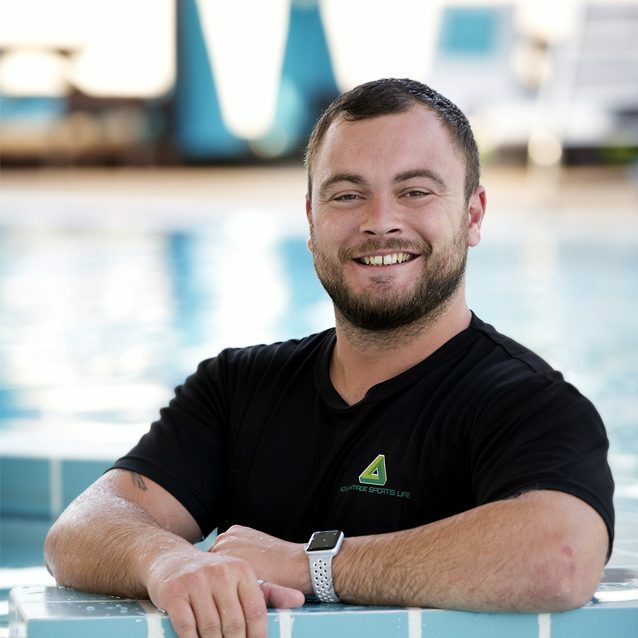 Will is a swimming instructor for private and group swimming lessons in Abu Dhabi. Whether you are a complete beginner in the pool or have some experience swimming with Will is designed to be fun and instructive. Available throughout Abu Dhabi Will can provide private 1-2-1 swimming coaching at your home too. You can view Will’s full Abu Dhabi swimming coach profile by clicking the link below.